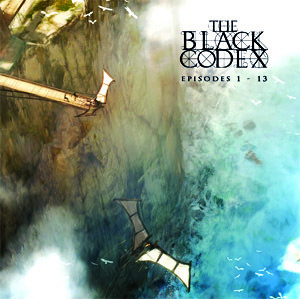 In collaboration with FREIA Music THE BLACK CODEX will become available on CD. The whole series will be released on 4 double CD's, packaged in a mini-album sleeve. Together with the fourth part a box and a book will become available. The series of double CD's will be released quarterly starting July 2014 with episodes 1-13.